The city of Barcelona is preparing to move forward with a plan to introduce its own currency, despite warnings from Spain’s central bank. The new so-called “social currency” would be used to buy local goods and services at a discount while having a one to one parity with the euro. Residents and businesses will be able to exchange their euros for the new currency and the city’s municipal employees may be partly paid using the new currency. 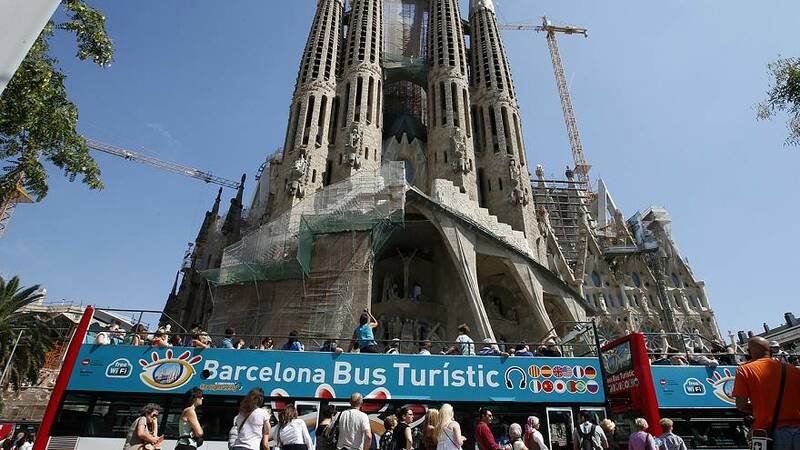 Barcelona’s mayor, Ada Colau, said a pilot programme will start in 2017. The pilot scheme will be implemented in Besos, a working class district of the city, in 2018. The new currency is expected to become legal tender by 2019. For the scheme to work, local companies will need to sign onto and participate in the project. Barcelona’s is not the first of its kind in Europe, nor in Spain. The city of Girona has the res, Sevilla the puma and Bilbao has the ekhi. Alternative currencies also exist in the French cities of Lyon and Toulouse, Bristol in the UK (where the Mayor takes his whole salary in the local Bristol Pound) , as well as in Rosenheim, southern Germany. Local or regional currencies have also started to pop up in the US, with San Francisco’s ‘Bay Bucks’ hoping to boost local businesses. How do complementary currencies work? The short answer is: just like normal money. The only difference is that they can only be used in restricted geographical areas, and with businesses that sign up to the scheme. The Bristol Pound, for example, can be used by opening a local account, and swapping sterling for the £B, in a similar fashion to how Bitcoin is used. The Bay Bucks plan argues that by using the local currency, businesses can boost the local prosperity by circulating a currency that will never leave the local area or local businesses. The argument goes that by increasing local spending, which is what local currencies are all about (and why central banks are nervous), the local economy will benefit as a whole, as businesses will be able to employ more people. One way the Bristol Pound has flourished is by creating the role of Business Relationship Manager, who is tasked with assisting businesses to find local supplier that also operate within the Bristol Pound market. This means that local businesses do not have to convert their £B back to sterling in order to buy their supplies, though this is still possible. It is also seen as a ‘Green’ initiative, as bolstering the use of local products can reduce the carbon footprint of a community and individuals. Customer loyalty is another benefit given by advocates. It is argued that by offering a successful local currency service, news will spread by word of mouth, and bolster the cash side of the business too. But despite wanting to operate on a parity with traditional currencies, local currencies are not legal tender. This means that their use, and businesses acceptance of them, is entirely voluntary. Colau campaigned for the alternative currency, as a tool designed to spur investment within the city and help small businesses. The currency is also part of a larger €24 million programme to introduce a minimum wage to Barcelona. The launching of a new local currency was one of Colau’s campaign promises before taking office in June 2015. But Spain’s central bank has warned against the currency scheme, saying casual currencies under little or no regulatory supervision or framework is “undesirable”. Fernando Restoy, the Deputy Governor of Spain’s central bank called the project “impossible”. Madrid and Barcelona are often at odds with each other, as Spain’s government tries to curb the influence of rising nationalist sentiments within Catalonia.